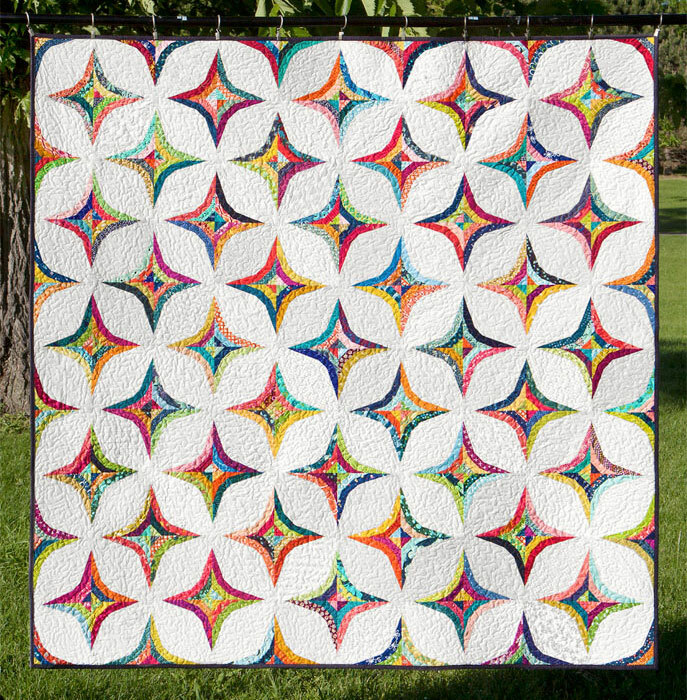 In 2016 I designed the annual raffle quilt for the Minnesota Quilters show. The members of the Minneapolis Modern Quilt Guild (and I) made blocks for a Queen-sized quilt, I assembled it, and Nancy Birger quilted it. (You can see it here). I was pretty sad to see that one go, so I made this, my own version, though this one is a more reasonable throw size.